I'm currently building a test app using React Native. The Image module, thus far has been working fine. For example, if I had an image named avatar, the below code snippet works fine. Requiring unknown module "image!avatar". If you are sure the module is there, try restarting the packager. Obviously this is a contrived example, but dynamic image names are important. Does React Native not support dynamic image names? The only allowed way to refer to an image in the bundle is to literally write require('image!name-of-the-asset') in the source. However you also need to remember to add your images to an xcassets bundle in your app in Xcode, though it seems from your comment you've done that already. I made a custom image component which takes in a boolean to check if the image is from web or is being passed from a local folder. Instead I'm just sending the entire require('./images/logo.png') as a prop. It works! I know it is not the most efficient way but it is definitely a workaround. If you're looking for a way to create a list by looping through a JSON array of your images and descriptions for example, this will work for you. You should use an object for that. Why Does Plugging in Results from .map() into JSX Result in an Error? React Native: require() with Dynamic String? 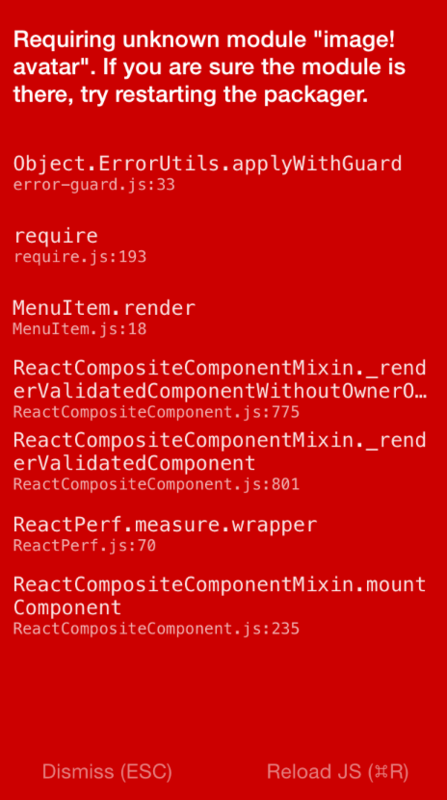 Load image dynamically based on props value in react-native? How would you load (hundreds) of images in a React Native app?